The lore keepers of churches, cantors hold a unique place in religious heirarchy as sources of mystical knowledge. In most faiths, a cantor serves as a keeper of doctrine in both oral and written fashion. The cantor is trained in divine chants that channel the power of their faith and are interwoven with esoteric—and some times heretical—knowledge and power. While cantors are servants of their god, they do so in ways less strictly governed than clerics, allowing them freedom of interpretation in their deity's philosophies and tenets, sometimes resulting in whole-cloth revisions to religious doctrine that can cause faith-wide schisms. Role: Cantors travel the world in service to god and church, spreading the word of their faith and interpreting new meaning from old ideology. In their search for knowledge and experiences, cantors surround themselves with myriad allies and use their intuitive grasp of faith and religion to explore new understanding in the divine. Alignment: A cantor’s alignment must be within one step of his deity’s, along either the law/chaos axis or the good/evil axis. The cantor's class skills are Bluff (Cha), Craft (Int), Diplomacy (Cha), Heal (Wis), Intimidate (Cha), Knowledge (arcana) (Int), Knowledge (planes) (Int), Knowledge (Religion) (Int), Linguistics (Int), Perception (Wis), Perform (Cha), Profession (Wis), Sense Motive (Wis), Sleight of Hand (Dex), Spellcraft (Int), Stealth (Dex), and Use Magic Device (Cha). Weapon and Armor Proficiency: A cantor is proficient in all simple weapons and the weapon of his deity as well as light armor (but not shields). Spellcasting: A cantor casts divine spells drawn from the inquisitor spell list. He can cast any spell he knows at any time without preparing it ahead of time, assuming he has not yet used up his allotment of spells per day for the spell’s level. To learn or cast a spell, a cantor must have a Charisma score equal to at least 10 + the spell level. The Difficulty Class for a saving throw against a cantor’s spell is 10 + the spell level + the cantor's Charisma modifier. A cantor can cast only a certain number of spells of each spell level each day. His base daily spell allotment is given on Table: Cantor. In addition, he receives bonus spells per day if he has a high Charisma score (see Table: Ability Modifiers and Bonus Spells). Upon reaching 5th level, and at every third inquisitor level thereafter (8th, 11th, and so on), a cantor can choose to learn a new spell in place of one he already knows. In effect, the cantor “loses” the old spell in exchange for the new one. The new spell’s level must be the same as that of the spell being exchanged, and it must be at least one level lower than the highest-level cantor spell he can cast. The cantor may swap out only a single spell at any given level and must choose whether or not to swap the spell at the same time that he gains new spells known for the level. Domain (or Inquisition): Like a cleric’s deity, a cantor’s deity influences his alignment, what magic he can perform, and his values. Although not as tied to the tenets of the deity as a cleric, a cantor must still hold such guidelines in high regard, despite that fact he can go against them if it serves the greater good of the faith. A cantor can select one domain from among those belonging to his deity. He can select an alignment domain only if his alignment matches that domain. With the GM’s approval, a cantor can be devoted to an ideal instead of a deity, selecting one domain to represent his personal inclination and abilities. The restriction on alignment domains still applies. Each domain grants a number of domain powers, depending on the level of the cantor. A canor does not gain the bonus spells listed for each domain, nor does he gain bonus spell slots. The cantor uses his level as his effective cleric level when determining the power and effect of his domain powers. If the cantor has cleric levels, one of his two domain selections must be the same domain selected as a cantor. Levels of cleric and cantor stack for the purpose of determining domain powers and abilities, but not for bonus spells. Esoteric Knowledge (Ex): A cantor adds half his class level (minimum 1) to all Knowledge (arcana), Knowledge (religion), and Knowledge (planes) skill checks and may make those Knowledge skill checks untrained. Divine Performance: A cantor is trained to use the Perform (chant) skill to create magical effects on those around him, including himself if desired. He can use this ability for a number of rounds per day equal to 4 + his Charisma modifier. At each level after 1st a cantor can use divine performance for 2 additional rounds per day. Each round, the cantor can produce any one of the types of divine performance that he has mastered, as indicated by his level. Starting a divine performance is a standard action, but it can be maintained each round as a free action. Changing a divine performance from one effect to another requires the cantor to stop the previous performance and start a new one as a standard action. A divine performance cannot be disrupted, but it ends immediately if the cantor is killed, paralyzed, stunned, knocked unconscious, or otherwise prevented from taking a free action to maintain it each round. A cantor cannot have more than one divine performance in effect at one time. At 7th level, a cantor can start a divine performance as a move action instead of a standard action. At 13th level, a cantor can start a divine performance as a swift action. Each divine performance has audible components in the form of a ritual chant. The targets must be able to hear the cantor for the performance to have any effect, and many such performances are language dependent (as noted in the description). A deaf cantor has a 20% change to fail when attempting to use a divine performance. If he fails this check, the attempt still counts against his daily limit. Deaf creatures are immune to divine performances. Divine performance counts as bardic performance for purposes of qualifying for prestige classes or feats and for feats that enhance bardic performance. Countersong (Su): At 1st level, a cantor learns to counter magic effects that depend on sound (but not spells that have verbal components.) Each round of the countersong he makes a Perform (chant) skill check. Any creature within 30 feet of the cantor (including the cantor himself) that is affected by a sonic or language-dependent magical attack may use the cantor's Perform check result in place of its saving throw if, after the saving throw is rolled, the Perform check result proves to be higher. If a creature within range of the countersong is already under the effect of a non-instantaneous sonic or language-dependent magical attack, it gains another saving throw against the effect each round it hears the countersong, but it must use the cantor's Perform skill check result for the save. Countersong does not work on effects that don't allow saves. Wrack (Su): At 1st level the cantor learns how to inflict debilitating pain on his enemies with only his voice, causing them to suffer a -1 penalty to attack rolls, saving throws, and skill checks. This penalty increases by -1 for every 5 levels the cantor possesses to a maximum of -5 at 20th level. To be affected, an enemy must be within 30 feet and able to hear the cantor's performance. The effect persists for as long as the enemy is within 30 feet and the cantor continues the performance. Chant of Life (Su): At 1st level the cantor can inspire health and healing with the power of his chant. All allies that can hear the cantor's divine performance gain fast healing 1. The amount of fast healing granted by this performance increases by 1 at 5th level and every 5 levels thereafter, to a maximum of fast healing 5 at 20th level. Inspire Courage (Su): A 1st level cantor can use his performance to inspire courage in his allies (including himself), bolstering them against fear and improving their combat abilities. To be affected, an ally must be able to perceive the cantor’s performance. An affected ally receives a +1 morale bonus on saving throws against charm and fear effects and a +1 competence bonus on attack and weapon damage rolls. At 5th level, and every six cantor levels thereafter, this bonus increases by +1, to a maximum of +4 at 17th level. Inspire courage is a mind-affecting ability. Inspire Competence (Su): A cantor of 3rd level or higher can use his performance to help an ally succeed at a task. The ally must be within 30 feet and able to see and hear the cantor. The ally gets a +2 competence bonus on skill checks with a particular skill as long as she continues to hear the cantor’s performance. This bonus increases by +1 for every four levels the cantor has attained beyond 3rd (+3 at 7th, +4 at 11th, +5 at 15th, and +6 at 19th). Certain uses of this ability are unfeasible, such as Stealth, and may be disallowed at the GM's discretion. A cantor can't inspire competence in himself. Exorcism (Su): At 6th level a cantor learns a divine performance that is anathema to creatures that would inhabit an unwilling host. Any creature that can hear the cantor's divine performance that is using a magic jar spell (or similar effects, such as a ghost's malevolence or an umbral shepherd's possession ability) to inhabit another creature must succeed at a Will save (DC 10 + 1/2 cantor's class level + cantor's Charisma modifier) each round they are subjected to the performance or become staggered for the duration of the performance and have the possession effect immediately end. Creatures that pass their save do not have their possession ended, but are still staggered for the duration of the divine performance. If the exorcism divine performance is used within the area of a haunt, the performance causes the haunt to trigger regardless of its normal triggering method. If the haunt is neutralized, the cantor may use the exorcism performance in an attempt to drive out the spirit. The cantor makes a Perform (chant) check against a DC of 10 + the haunt's caster level. If successful the cantor successfully destroys the haunt. If the check fails, the cantor becomes fatigued and may not attempt to exorcise the same haunt for 24 hours. Dirge of Doom (Su): A cantor of 8th level or higher can use his performance to foster a sense of growing dread in his enemies, causing them to take become shaken. To be affected, an enemy must be within 30 feet and able to see and hear the cantor's performance. The effect persists for as long as the enemy is within 30 feet and the cantor continues the performance. The performance cannot cause a creature to become frightened or panicked, even if the targets are already shaken from another effect. Dirge of doom is a mind-affecting fear effect. Inspire Greatness (Su): A cantor of 9th level or higher can use his performance to inspire greatness in himself or a single willing ally within 30 feet, granting extra fighting capability. For every three levels a cantor attains beyond 9th, he can target one additional ally while using this performance (up to a maximum of four at 18th level). To inspire greatness, all of the targets must be able to see and hear the cantor. A creature inspired with greatness gains 2 bonus Hit Dice (d10s), the commensurate number of temporary hit points (apply the target’s Constitution modifier, if any, to these bonus Hit Dice), a +2 competence bonus on attack rolls, and a +1 competence bonus on Fortitude saves. The bonus Hit Dice count as regular Hit Dice for determining the effect of spells that are Hit Dice dependent. Inspire greatness is a mind-affecting ability. Soothing Performance (Su): A cantor of 12th level or higher can use his performance to create an effect equivalent to the mass cure serious wounds, using the cantor's level as the caster level. In addition, this performance removes the fatigued, sickened, and shaken condition from all those affected. Using this ability requires 4 continuous performance, and the targets must be able to see and hear the cantor throughout the performance. Frightening Tune (Sp): A cantor of 14th level or higher can use his performance to cause fear in his enemies. To be affected, an enemy must be able to hear the cantor perform and be within 30 feet. Each enemy within range receives a Will save (DC 10 + 1/2 the cantor’s level + the cantor’s Cha modifier) to negate the effect. If the save succeeds, the creature is immune to this ability for 24 hours. If the save fails, the target becomes frightened and flees for as long as the target can hear the cantor's performance. Inspire Heroics (Su): A cantor of 15th level or higher can inspire tremendous heroism in himself or a single ally within 30 feet. For every three cantor levels the character attains beyond 15th, he can inspire heroics in one additional creature. To inspire heroics, all of the targets must be able to see and hear the cantor. Inspired creatures gain a +4 morale bonus on saving throws and a +4 dodge bonus to AC. The effect lasts for as long as the targets are able to hear the performance. Inspire heroics is a mind-affecting ability. Righteous Hymn (Su): At 16th level a cantor learns a divine performance that significantly enhances his own combat abilities. While he maintains righteous hymn, the cantor receives a +6 enhancement bonus to Strength and deals melee damage as if he were two size categories larger. Additionally, when the cantor delivers a critical hit with a melee attack while maintaining righteous hymn, he may move the target of the critical hit as if he performed a Bull Rush combat maneuver (acting as though he were two size categories larger for purposes of the cantor's CMB). The cantor does not need to move with the target to Bull Rush them beyond 5 feet. Revenant Chant (Sp): A cantor of 20th level can use his divine performance to will the spirits of the recently deceased back into their bodies. This divine performance functions as the breath of life spell with a caster level equal to the cantor's level, but affects a number of creatures equal to one per cantor level, no two of which may be more than 30 feet apart. Verse: At 2nd level a cantor learns how to infuse his divine performance with a magical verse capable of creating supernatural effects. Verses may only be used while the cantor is maintaining his divine performance ability and, unless otherwise noted, their effects end when he ends his performance. He gains an additional verse at 5th level and for every 3 levels attained after 5th level, as noted on Table: Cantor. A cantor cannot select an individual verse more than once. Unless otherwise noted, using a verse is a standard action that does not provoke an attack of opportunity. The save to resist a chant is equal to 10 + 1/2 the cantor's level + the cantor’s Charisma modifier. Divine Inspiration (Su): At 5th level, the cantor may spend 1 round in meditation to receive divinely granted insight, gaining a bonus on one Knowledge check equal to his Charisma modifier. A cantor may use this ability once per day at 5th level, and one additional time per day every five levels thereafter. Greater Verse: At 11th level and every three levels thereafter, a cantor can choose a greater verse whenever he could choose a new verse. Grand Verse: At 17th level and every three levels thereafter, a cantor can choose a grand verse whenever he could choose a new verse. Conjuring (Su): As a full-round action a cantor may summon an extraplanar creature as if he had cast summon monster I at the cantor's caster level. The summoned creature remains until either the cantor ends his divine performance or it is killed. At 5th level this verse functions as summon monster II. Sanctuary (Su): A cantor may protect one target within 30 feet who can hear his divine performance as if they were under the effect of the sanctuary spell. This effect lasts for the duration of the divine performance. A cantor may only protect one creature with sanctuary at a time, and if he uses this ability on another target the original sanctuary effect ends. Voice of Purity (Su): As a swift action the cantor speaks a verse that expunges impurities. Diseases, inhaled poisons, and noxious gaseous effects (such as stinking cloud) are negated in a 10-foot aura around the cantor for the duration of his divine performance. Fate's Blessing (Su): As a swift action the cantor grants one ally that can hear his divine performance a +1 luck bonus on one saving throw of the cantor's choice for the duration of the divine performance. This bonus increases by +1 at 8th and 16th level. Additionally, the target of fate's blessing may prematurely end this effect to re-roll a single d20 roll. A cantor may only affect one target at a time with fate's blessing, if he uses this ability on another target the original fate's blessing ends. Verse of Healing (Su): The cantor may target one creature within 30 feet who can hear his divine performance and heal their wounds. This acts as cure light wounds, using the cantor’s caster level. Once a creature has benefited from verse of healing, it cannot benefit from it again for 24 hours. At 5th level, this verse acts like cure moderate wounds. Scorn of the Dead (Su): As a swift action the cantor may target one creature of the undead type within 30 feet that can hear his divine performance. The target creature must succeed at a Will save or take 1 point of damage every round that they are within range while the cantor maintains his divine performance. A successful save negates this effect. If the saving throw is failed, the target can attempt a new save each round to end the effect. Whether or not the save is successful, a creature cannot be the target of this verse again for 1 day. At 6th level and every 6 levels thereafter this damage increases by 2 points. Dirge of Undeath (Su): The cantor may target one corpse within 30 feet to animate as an undead creature as if they had cast animate dead with a caster level equal to the cantor's. The undead created by this verse remains until the cantor ends his divine performance, at which time it is destroyed. Greater Conjuring (Su): As a full-round action a cantor may summon an extraplanar creature as if he had cast summon monster III at the cantor's caster level. The summoned creature remains until either the cantor ends his divine performance or it is killed. At 15th level this verse functions as summon monster IV. Agony (Su): As a swift action, a cantor wracks a single creature within 60 feet with intense pain. The target is nauseated for the duration of the cantor's divine performance. A Fortitude save negates this effect. If the saving throw is failed, the target can attempt a new save each round to end the effect. Whether or not the save is successful, a creature cannot be the target of this verse again for 1 day. Combustion (Su): A target within 30 feet of the cantor that can hear his divine performance is consumed from within by burning flames (Fortitude negates). The target's skin blackens and splits, issuing smoke and embers from within, and takes 5d6 points of fire damage +1 point per two cantor levels per round until it dies, saves (once per round), the divine performance ends, or it is cured. Break enchantment, dispel magic, remove curse, and similar spells end the effect. If the target saves, it is immune to this verse for 1 day. This is a fire effect. Major Healing (Su): The cantor may heal a creature within 30 feet that can hear his divine performance. This verse acts as cure serious wounds, using the cantor’s caster level. Once a creature has benefited from the major healing verse, it cannot benefit from it again for 24 hours. At 15th level, this verse acts like cure critical wounds. Retribution (Su): The cantor creates a glowing brand in the shape of his deity's holy symbol on a creature within 30 feet that can hear his divine performance, causing terrible wounds to open across the target’s flesh whenever it deals damage to another creature in melee. Immediately after the affected creature deals damage in melee, it takes half that damage (round down). This damage bypasses any resistances, immunities, or damage reduction the creature possesses. This effect persists until the cantor ends his divine performance. A Will save negates this effect. Divine Protection (Su): As a swift action the cantor may grant a target within 30 feet that can hear his divine performance damage reduction 5/evil if the cantor is of good alignment, or 5/good if the cantor is of evil alignment. Neutral cantors may choose the damage reduction's alignment when using this verse. Grand Conjuring (Su): As a full-round action a cantor may summon an extraplanar creature as if he had cast summon monster V at the cantor's caster level. The summoned creature remains until either the cantor ends his divine performance or it is killed. At 20th level this verse functions as summon monster VI. Dread Arisen (Su): The cantor may target a single corpse within 30 feet and reanimate it as an undead creature as if they had cast create undead at a caster level equal to the cantor's. The undead created by this verse persists until the cantor ends his divine performance, at which time it is destroyed. Undead created in this fashion cannot create spawn. Immolation (Su): The cantor may select a number of targets up to 1 per class level that are within 30 feet and can hear his divine performance. These targets must succeed at a Fortitude save or burst into flames, suffering 8d6 points of damage per round plus one per two cantor levels (half of which is fire damage and half of which is divine damage) until it dies, saves (once per round), the divine performance ends, or it is cured. Break enchantment, dispel magic, remove curse, and similar spells end the effect. If the target saves, it is immune to this verse for 1 day. This is a fire effect. 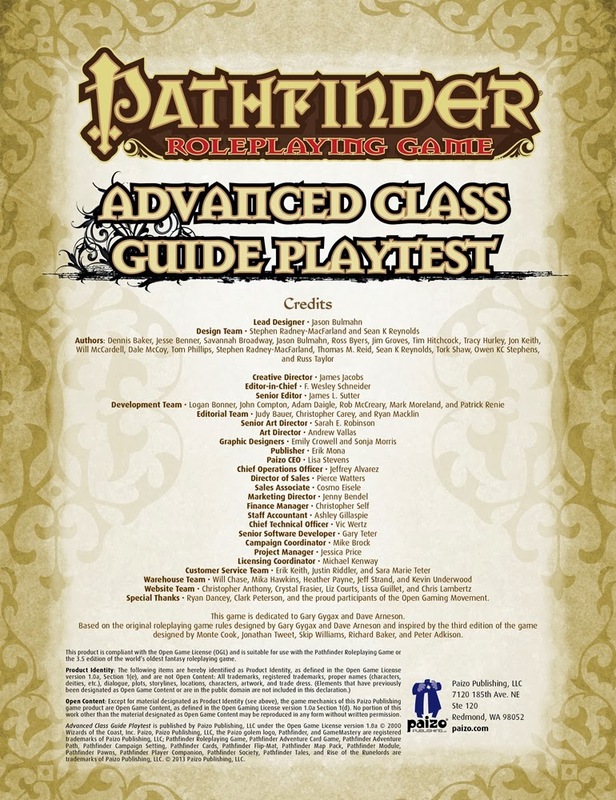 While I would not personally consider this a fun class to play, I feel it is balanced and fits stylistically. I would like to see more options for customization. The Verse class feature is a sensible creation for giving this class its own flavor and identity. I've wanted to see a divine bard class for some time now, and this seems to be the best fit so far. Well done.